Now let's see some features! My Love 2 Create always wows me. 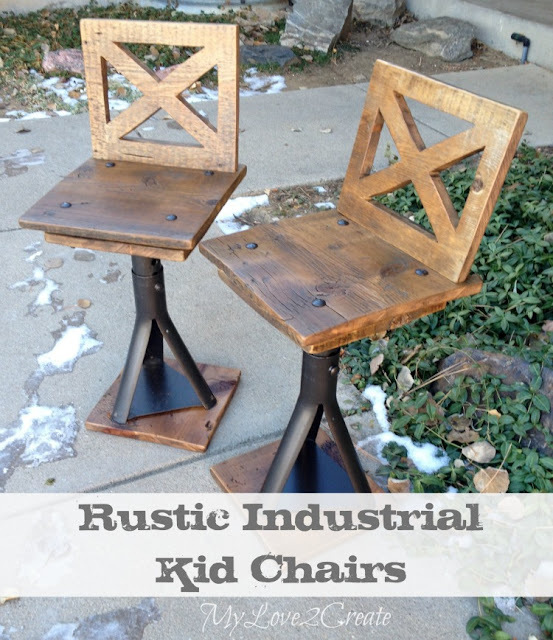 She created these chairs using car jacks! Yeah. I don't know about where you live, but here these tables seem to be about a dime a dozen. The Interior Frugalista really transformed a hum-hum table into something classy and sophisticated! Thank you Kammy for Trash 2 Treasure. Love joining in. 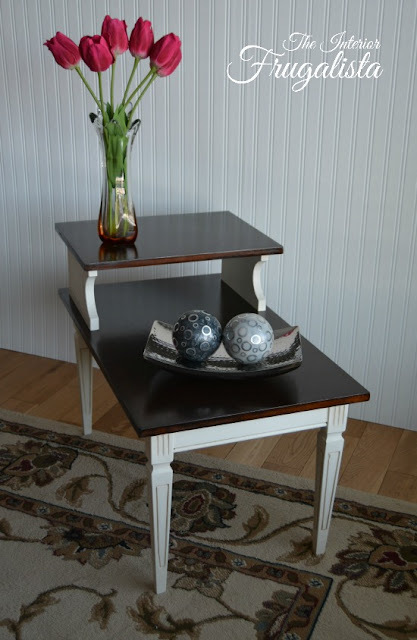 Thank you so much Kammy for featuring my MCM Tiered Table - you made my day! 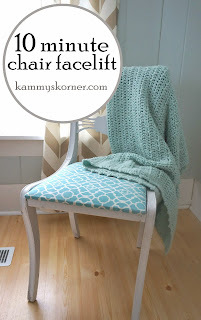 Kammy thank you so much for featuring my rustic industrial kid chairs! Hugs!